If you’ve been waiting for a telco subsidy for the beautiful HTC One M9+, here it is. 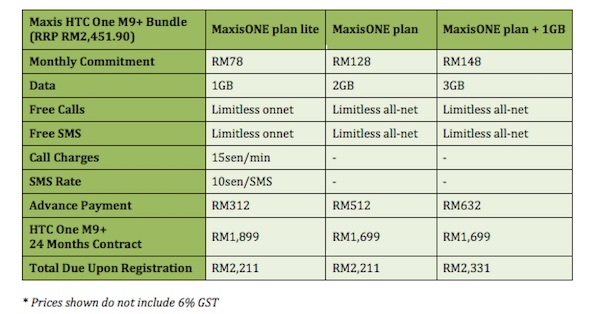 Maxis is now offering the device from as low as RM1,699 when you sign up for a MaxisONE postpaid plan. 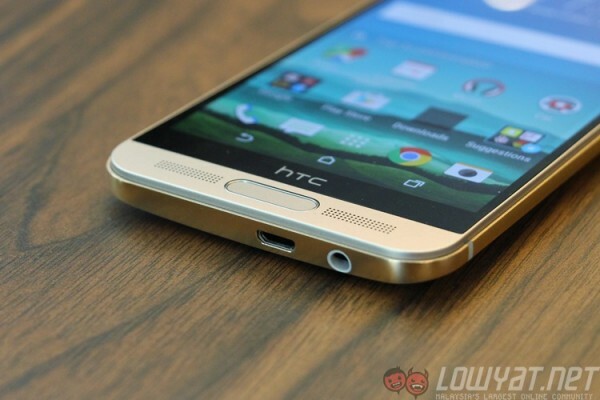 The HTC One M9+ was officially launched in Malaysia just last week. It is available at a retail price of RM2,599 (after 6% GST), but if you would like to get the device at a lower price, Maxis is the first telco to offer it with its postpaid plans. 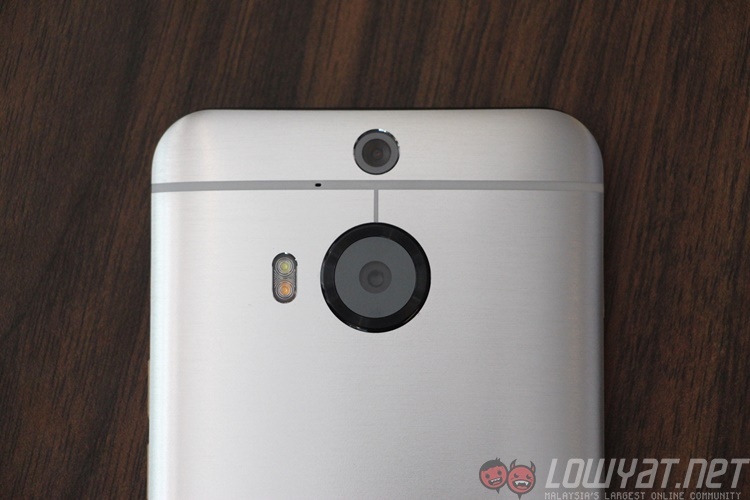 The HTC One M9+ is the latest flagship device from the Taiwanese company. Not to be confused with the HTC One M9 that was announced in MWC 2015, the One M9+ has got slightly better hardware including a QHD display and a fingerprint scanner on board. 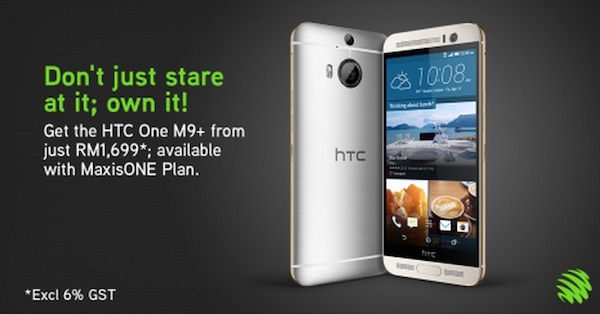 The One M9+ sports a 5.2” QHD display, the “highest definition display ever”. It is powered by a 2.2GHz MediaTek Helio X10 64-bit processor paired with 3GB RAM and 32GB of internal storage. Camera wise, the One M9+ is also slightly better than the One M9, with a Duo Camera setup at the back. It uses a 20.7MP sensor and with a Duo Camera, you can do a lot more with the pictures you captured using the device thanks to a depth sensor on the other camera. The front has the company’s very own 4MP UltraPixel camera, allowing you to take the perfect selfie even in low-light conditions. Other specs include BoomSound speaker, LTE connectivity, 2,840mAh battery, and HTC Sense 7 UI. Check out our hands on post for more information about the HTC One M9+, or visit Maxis for more information about their HTC One M9+ bundle. The device is available immediately in physical Maxis stores, as well as the telco’s online store.